"What's Your Story, Bay Area?" Includes tasting menu and museum tour. Contact Velocity Circus for tickets and more information. with Sharon McNight, Jason Brock, Brian Kent, Dan O’Leary, Leanne Borghesi, Dyn4mix, Kippy Marks, Abigail Zsiga, and Doona Sachet! 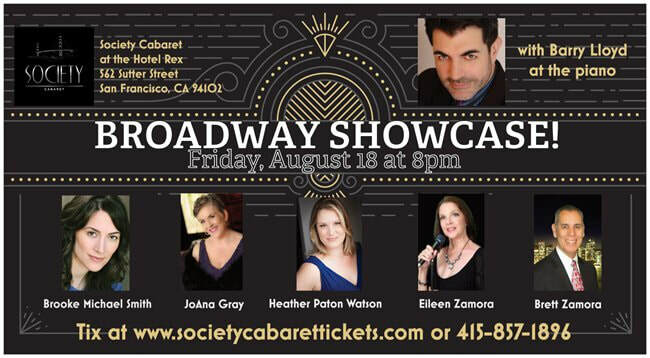 With Scott Lacy, Christopher Nelson, Barry Lloyd, JoAna Gray, Eileen & Brett Zamora, and more! $15 at the door. Food & Drink available for purchase. and Musical Director, Carol Schmidt. with Amy Friedl Stoner, Ben Watts, Claudia Hommel, David Meulemans, and Tim Schall! 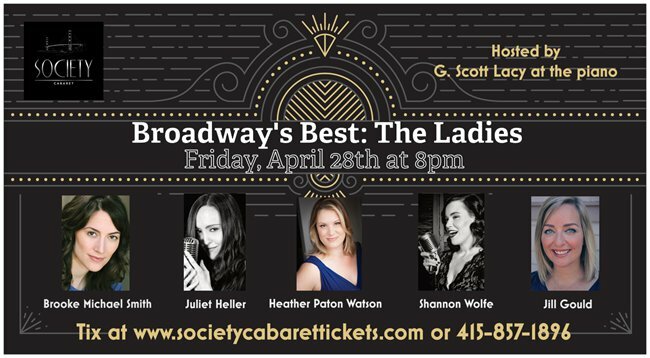 A night of songs and stories melding contemporary musical theatre, classic musical theatre, jazz standards, refashioned pop songs, and a few original indie-folk tunes. 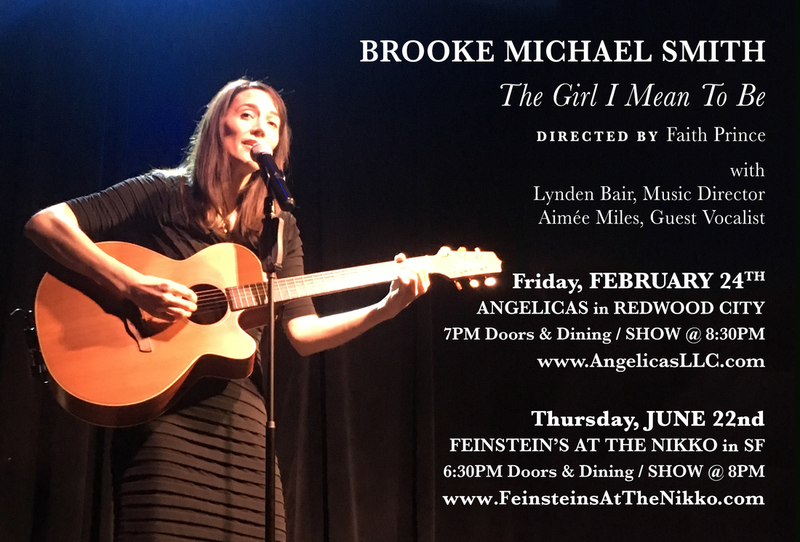 There will be something for everyone throughout this journey of self-discovery and the songs that have influenced Brooke along her way. What's Your Story, Bay Area?